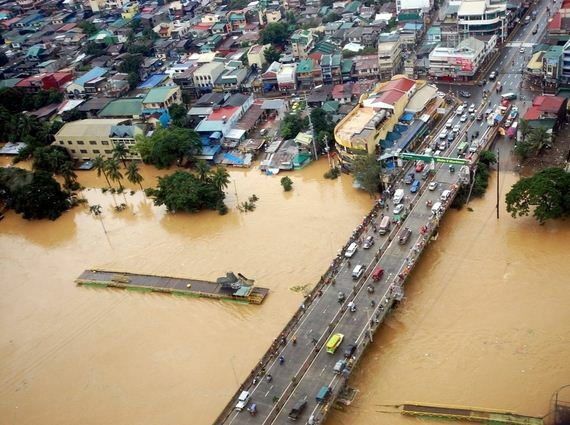 The overflowing Marikina river in Marikina, Metro Manila, is seen in this aerial photograph released by the Department of National Defense August 8, 2012. 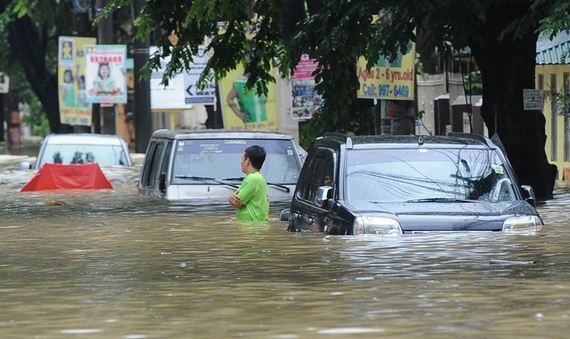 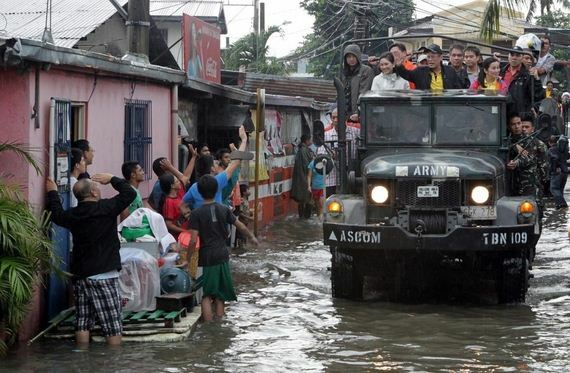 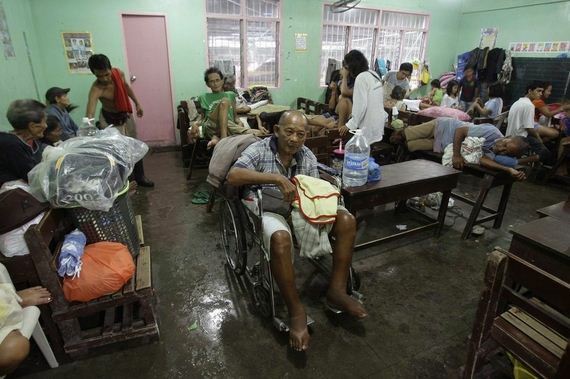 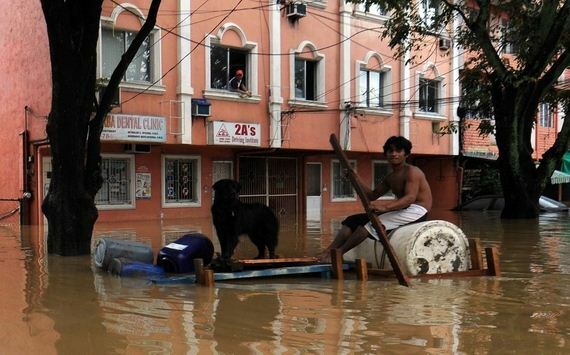 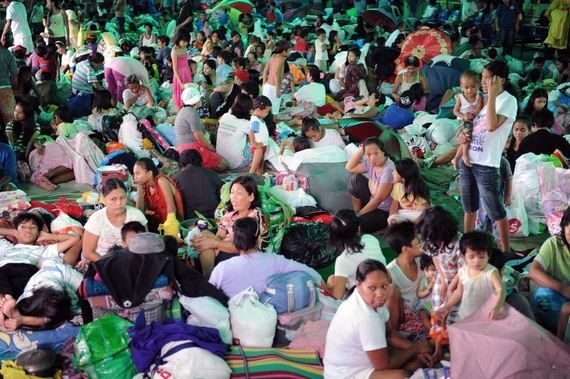 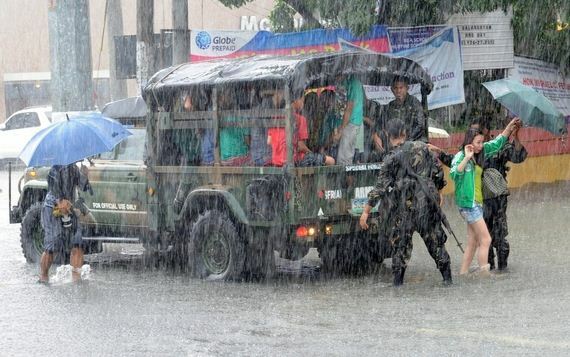 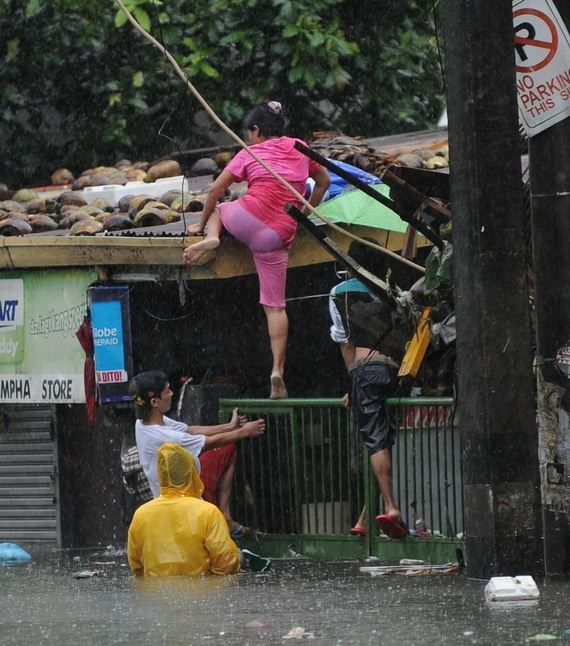 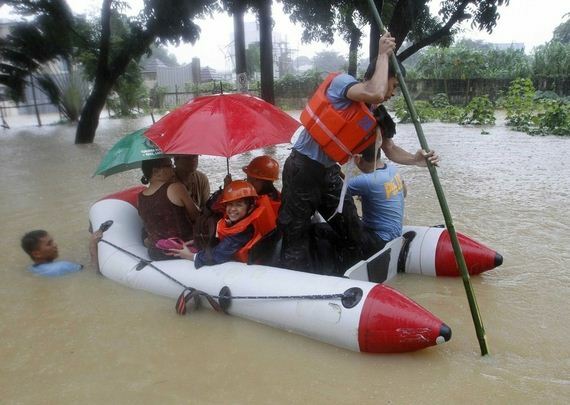 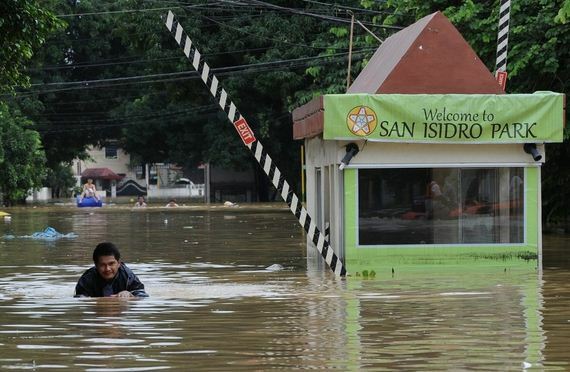 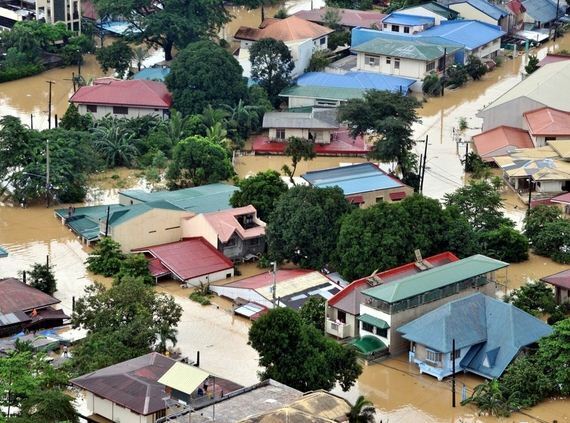 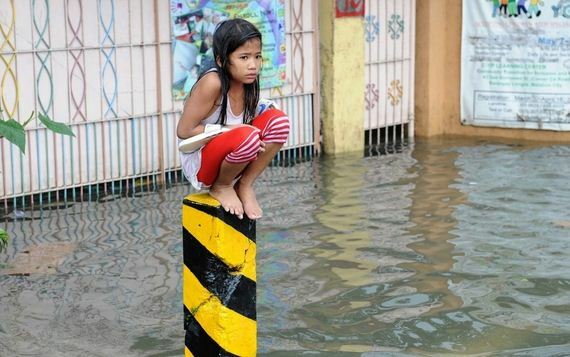 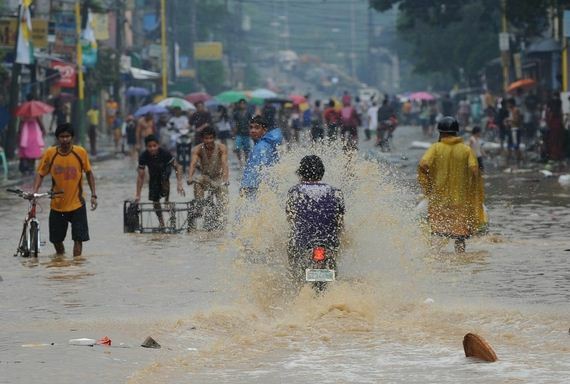 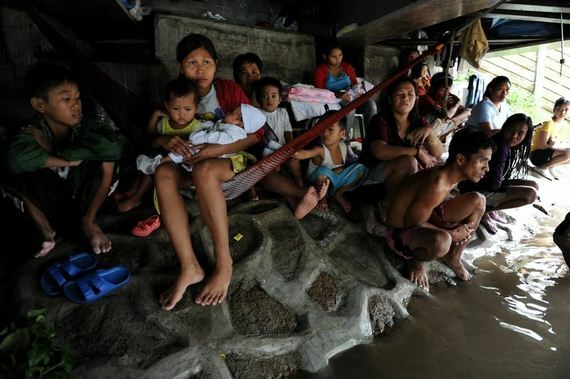 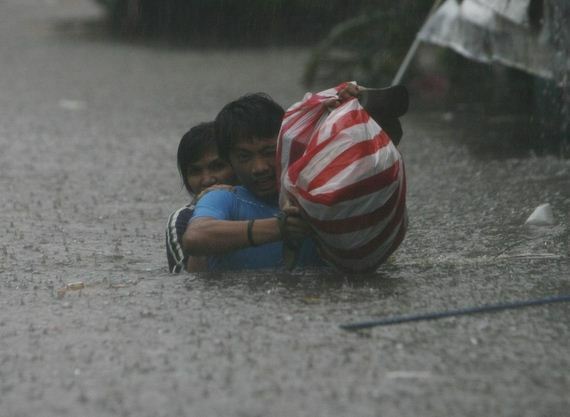 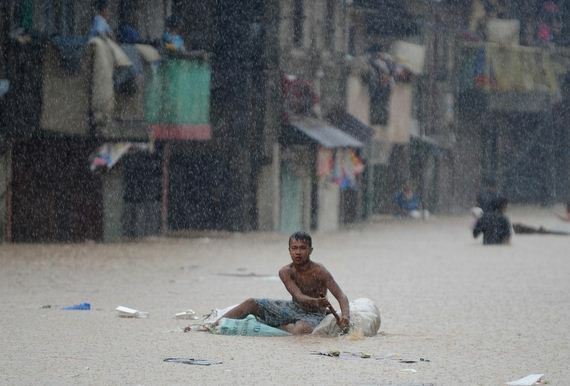 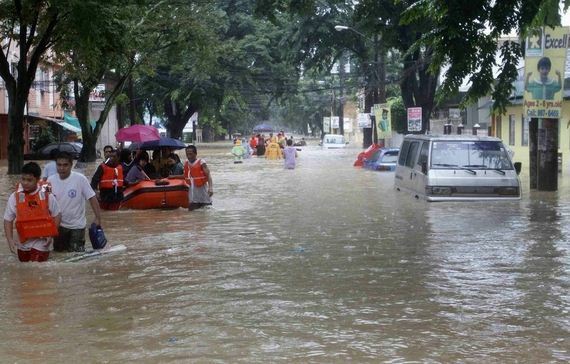 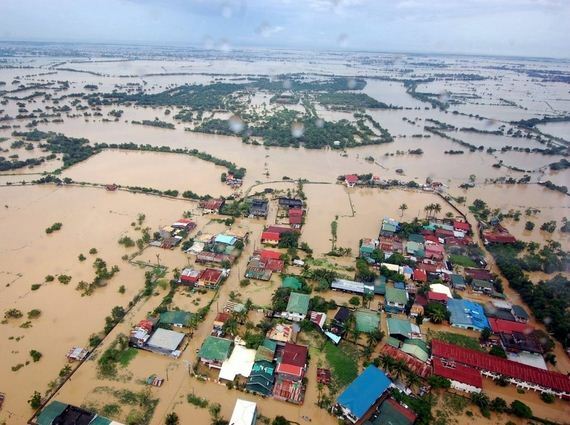 Emergency workers and troops rushed food, water and clothes to nearly 850,000 people displaced and marooned from deadly floods spawned by 11 straight days of southwest monsoon rains that soaked the Philippine capital and nearby provinces. 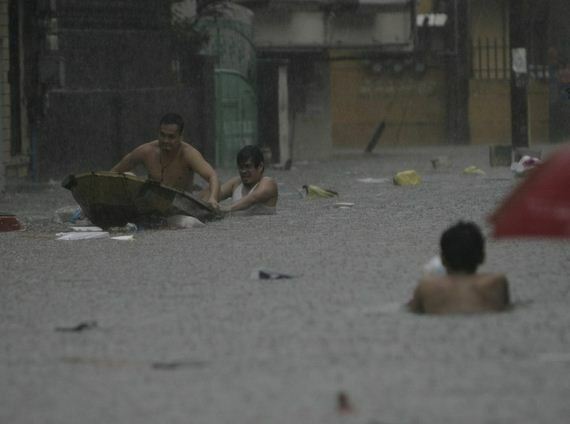 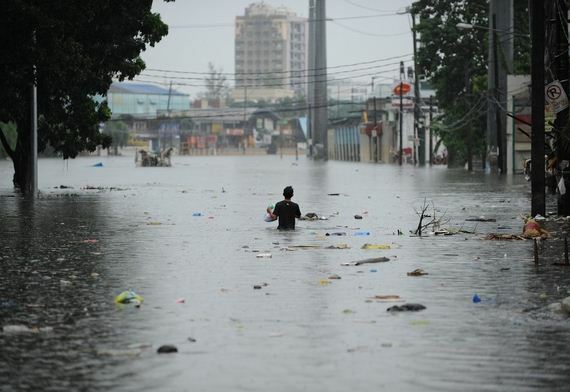 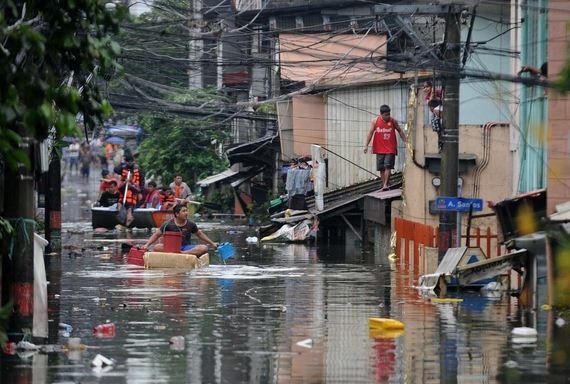 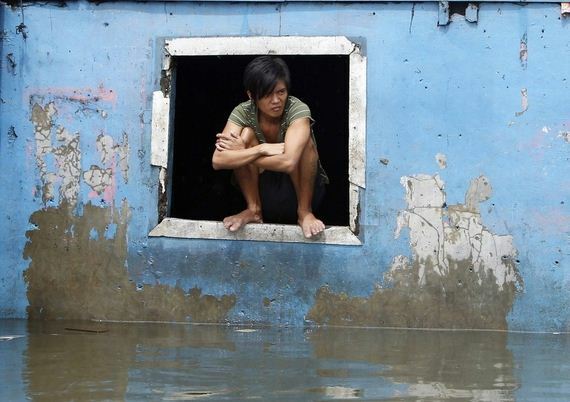 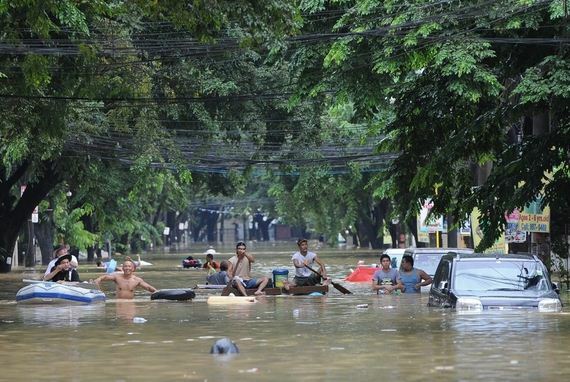 About 60 percent of Manila, a sprawling metropolis of about 12 million people, remained inundated on Wednesday, Benito Ramos, head of the national disaster agency, told Reuters.